We take pride in offering Professional Estheticians the best experience from customer service to using our product in their treatment rooms. Registering for a Skin Blends Professional Account is easy, however it is an exclusive experience. Becoming a Skin Blends Professional allows you to utilize all of our marketing materials, have access to our Professional Account is easy, however it is an exclusive experience. Every Skin Blends Professional Account is processed individually by our team to ensure only true Professional Estheticians can gain access to the benefits of our Professional Network. To submit your information for processing, please use the form below. Please allow 1-2 business days to gain access to your new benefits. A confirmation email will be sent upon completion. 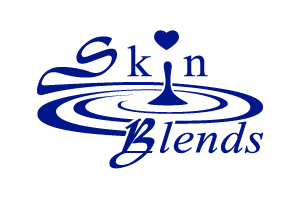 Now is the perfect time to invest in your brand with Skin Blends’ comprehensive and efficient Custom Blending System. Skin Blends fills the demand for individualized and effective skin care products both for in treatment and at home. Why Custom Blend with Skin Blends? The opportunities are truly endless! Dramatically increase your bottom line with 100% markup. Ensure your client loyalty. Having their custom formula ensures they can’t get your product anywhere else. Custom Blending allows you to reduce the amount of product you keep on hand – keeping it fresher because it is not sitting on a shelf! Your products will always be result oriented – and those results will be custom suited to your clients. All Skin Blends base products are color and fragarance free – allowing you to customize them for each client! At Skin Blends, we understand that not everyone has the same business needs. 1. Retail our amazing base products as is in Skin Blends Packaging. 2. Customize our base products with aromas, colors, essential oils, lipids, botanical extracts and cosmeceuticals of your choice in Skin Blends Packaging. 3. Private Label our base products with your own containers, logo and labels. 4. Custom Blend our base products and utilize your own Private Label Branding.